A flurry of reports are filling news outlets on the ongoing advance of Somali government troops and international forces toward the port of Kismayo, as they move to oust the Islamic militant group al-Shabaab from its most lucrative source of internal revenue. Bad Luck or Bad Planning? In mid-august, three of four Ugandan helicopters (later termed “junk“) sent to provide air support during the mission crashed en route to Kismayo–which was a severe blow to the allied forces’ military capabilities. Additionally, incompatibilities in communication hardware between government-allied forces have hindered the operation. In the most recent crisis, the Ogaden clan militia known as the Ras Kamboni Brigade–led by ex-ICU/ex-Hizbul Islam militant and former Kismayo governor Ahmed Madobe–has resisted operating under the command of its counterparts in the Somali government and Kenya Defense Forces (KDF) during the mission. Combined with the entrance of Ethiopian-backed Marehan warlord (and fellow ex-Kismayo governor) Barre Hirale into the coalition to defeat al-Shabaab, this is only be the tip of the iceberg in the battle between local clan and international interests that are competing over the fate of Kismayo. The KDF hopes to avoid post-operation blunders of past “victories” by international coalitions. Things hardly could be going worse for al-Shabaab (AS). There is surging optimism among Somalis after the selection of Hassan Sheikh Mohamud as president, and AS continues to lose territory. 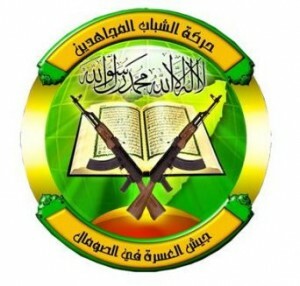 More importantly, reports are surfacing that Sheikh Hassan Dahir Aweys and his Hizbul Islam fighters are abandoning the al-Shabaab brand in favor of negotiations with the government. If the Hizbul Islam separation materializes, it could trigger more serious defections (such as the equally marginalized Sheikh Mukhtar Robow), a decrease in morale among foot soldiers (who may also defect amid financial problems and internal strife), and a loss in capabilities at a time in which unity is a precious commodity for the group. 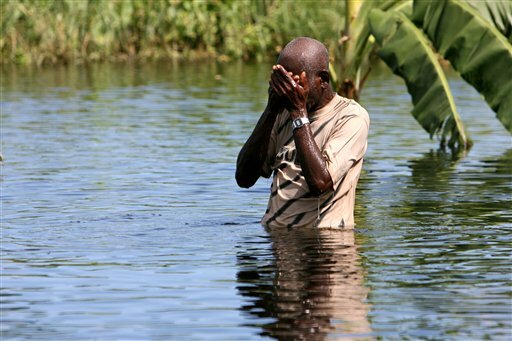 These coalescing events could cause AS to rely on guerrilla tactics, including suicide and IED attacks–even stretching into Kenya. But this strategy has hurt its local reputation–despite the fact that at times the group has out-performed the government by providing social services, less corrupt governance, and brutal–but predictable and disciplined–security. Even given al-Shabaab’s weakening–yet dangerous–status, the group could capitalize in mis-steps by government-allied forces in Kismayo. For example, the KDF recently received local and international rebuke for killing 9 innocent civilians in Janaa Abdalla (60 km NW of Kismayo) from the Marehan clan–which its spokesperson awkwardly suggested is firmly behind AS. After the incident, pro-AS website SomaliMemo reported that a Marehan elder promised retaliation for the killings. Increased civilian casualties could contribute to anti-government–as well as pro-al-Shabaab–sentiments that hurt the credibility of efforts to establish a new government in Kismayo. In this context, the effort to set up an administration in Kismayo could be a greater challenge than the military operation to control it. Since the Somali government collapsed in 1991, former Siad Barre military commanders, warlords, and Islamic and clan militias all have fought to control the port with varying degrees of success. One factor al-Shabaab has in its favor in Kismayo is its ability to manage clan interests among more powerful Darod (e.g., Marehan and Ogaden), Harti (e.g, Majerteen, Warsengeli, Dhulbahante) and Hawiye (e.g., Hawaadle and Sheikhal) clans, and less powerful Bantu and Dir clans. The question remains if the Somali government can fill the power vacuum successfully amid serious clan tensions that are sure to surface. 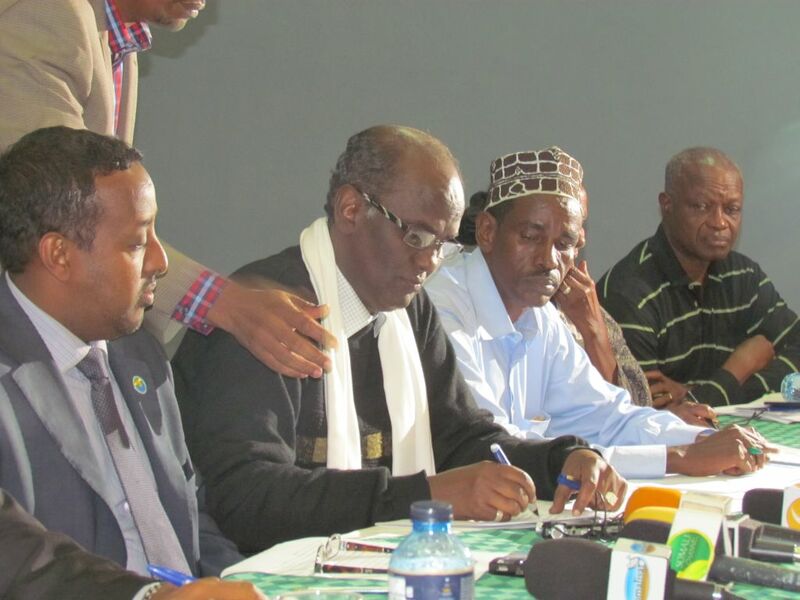 Mohamed Abdi Mohamed (center) signs documents during the Jubbaland conference. He is an anthropologist, historian, and former Minister of Defense of Somalia. Though this initiative has not been approved by the Somali parliament, it is already igniting an unrecognized furor in its exclusion of some regional clans from meaningful participation (e.g. Bantu and Harti). There are also concerns that it mirrors past controversial attempts to establish clan-based governments in meetings held outside Somali soil, behind closed doors, and with dubious representatives from the involved clans. In this case, Jubbaland appears to be a marriage of convenience between Ogaden and Marehan clan representatives that traditionally are bitter rivals in the region–adding to speculation that this is an unwieldy alliance. Back in Mogadishu, some traditional elders are also speculative, and they held a press conference on 26 September 2012 to speak out against the involvement of Kenya–which sees Jubbaland as a “buffer zone” against violent extremism–in setting up the new administration. The elders conveyed the sentiment potentially held by many Somalis that Kenya’s meddling will do more to create civil war than to prevent it in the region. More importantly, the question is whether leaders of this self-appointed body would make better governors than al-Shabaab in the eyes of Juba residents. While al-Shabaab’s recent heavy taxation and forced recruitment in Kismayo were unpopular, this does not mean that communities would welcome a set of leaders who seem consumed by their own personal interests. Lastly, the port in the Somali government’s backyard in Mogadishu has long been plagued by corruption, which further points to the need of a credible authority in Kismayo and more broadly in Juba. So, while the international community and news outlets continue blowing balloons in preparation for the celebration in the streets of Kismayo, few seemed prepared to deal with its aftermath and the ensuing challenges that the region and country is facing. I just created a new petition and I hope you can sign — it’s called: Block War Escalation in Somalia!